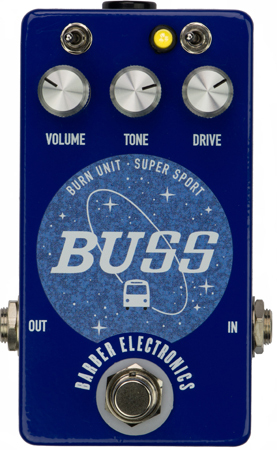 The BUSS brings back the classic sounds of The Barber Burn Unit and Super Sport pedals (hence the name BUSS). The Burn Unit's sounds are big and fat, and were tuned to match a $50K Dumble ODS amp, which was sitting in our shop for nearly a year while we listened and tuned the Burn Unit to perfection. The Super Sport mode is designed to nail down the muscular modified Marshall tones of the late 70s and 80s . The first toggle switches between the Burn Unit and Super Sport sounds, while the second toggle selects levels of harmonics and dynamics which can be applied to both the Burn Unit and Super Sport sounds. 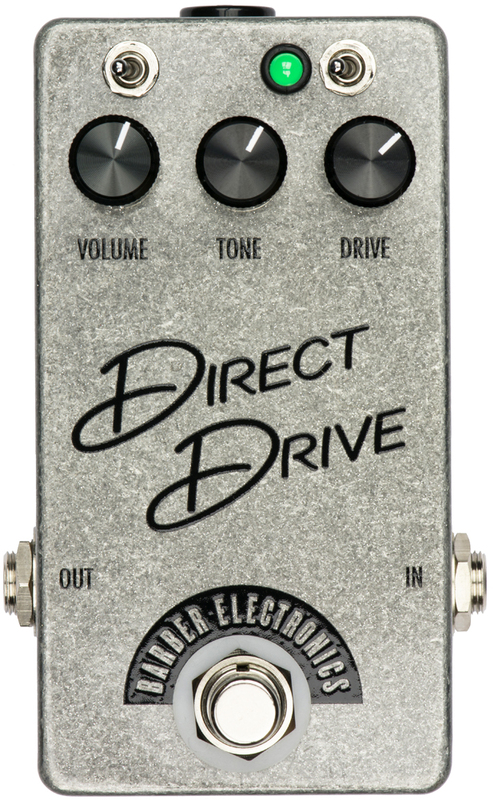 The BUSS uses exceptional components from the past and present, including Elna silk particulate caps to unobtanium germanium overdrive elements. Tremendous sound, build quality and a stellar value . Made in USA. Available now! All hand made in the US with bold and beautiful thru-hole components , and only $149.95 On sale for $129.95! Paypal accepted, and shipping is $6 via USPS priority anywhere in the USA.